I am happy to report that I've finally got my 650B conversion project complete. The frame is a Raleigh International that I believe was made in 1971. The paint is original and the decals are faded but it still looks too good to paint over. I wanted to make it 650B for two reasons. I wanted to have a "go anywhere" bike with wide tires (though the International can already accommodate fairly wide 700C tires) and I really like the way these conversion bikes look. I also thought it would be helpful with the standover height because this frame is borderline too big for me. Modifications include the following. On the drive train, Sugino compact crank, Suntour Cyclone RD, IRD compact FD, IRD 5 speed freewheel, and Silver downtube shifters. 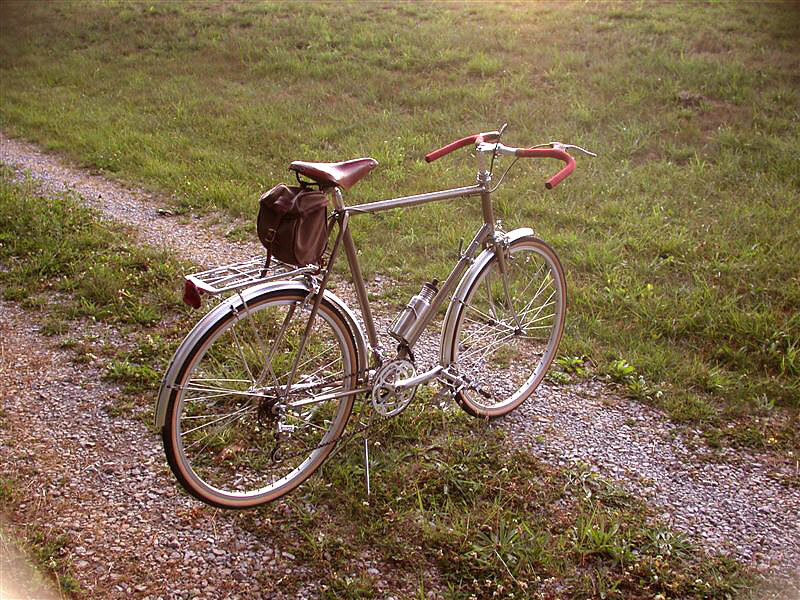 The saddle was changed to Brooks B17 Special. Nitto moustache bars with red cloth tape and amber shellac are used for holding on. The wheels themselves are Campy NR low flange hubs and Sun CR18 rims. The tires are Co de la Via. 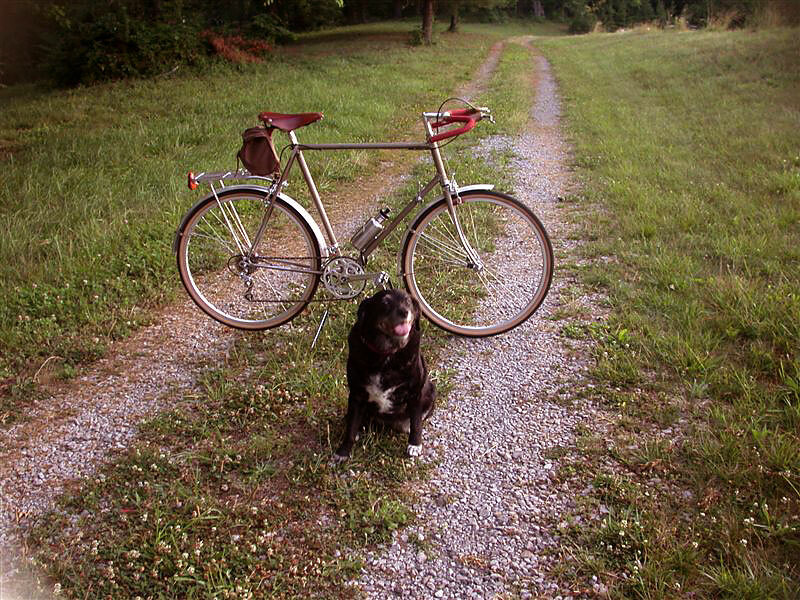 Accessories include a simple rear rack, SKS fenders and a Velo-orange bag. I've also included a photo with my pound puppy Emma. She is a good dog but she is afraid of bicycles and loves to eat books.